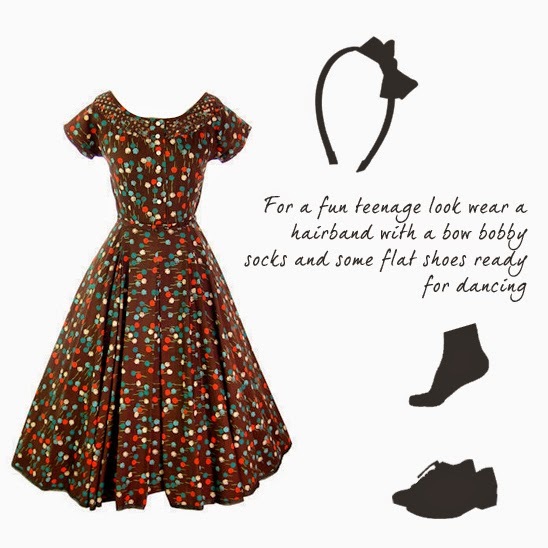 Brittany kindly let me step up and write a guest post today, and I wanted to share my passion for 1950s fashion with you. 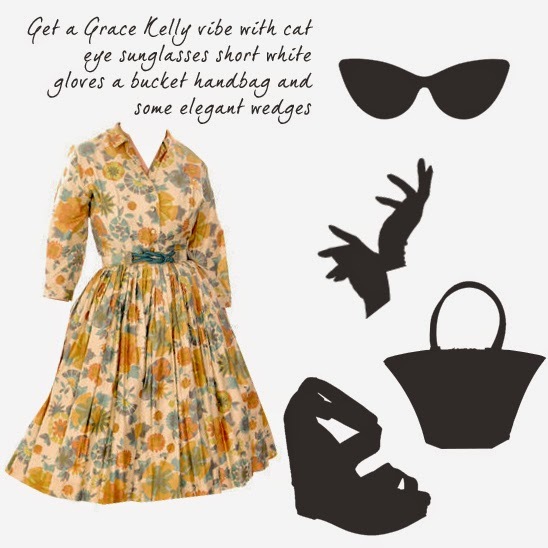 * It goes without saying that you can mix and match vintage in absolutely ANY way you like. Individuality is the key to enjoying yourself with what you wear, but today I wanted to concentrate on getting a genuine 50s look! I picked 3 vintage 1950s dresses I currently have in store and dressed them up in different ways - one for a very smart evening look, one as a fun teen-inspired outfit and one which just sings to me of warm summer days (and makes me feel like I'm Grace Kelly driving a convertible through the south of France). Don't forget to team your outfit with a fabulous retro hairstyle (you can find some great tutorials here) a flash of red lipstick and some winged eyeliner, then you'll be all set to go! Let me know what you think of the outfits, how would you wear these dresses? 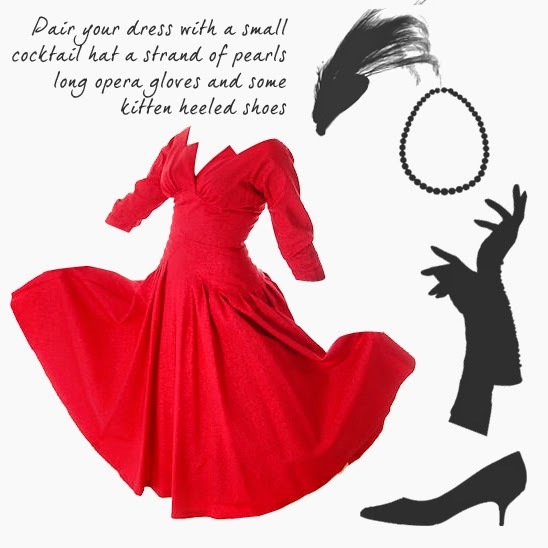 Guest post by Ms Kitty from The Best Vintage Clothing. Don't forget to stop by and say hi! Love these! Especially how sweet the last one is, I love pairing cute socks with flats. this is really cute and cool! Very cute looks - the last one in particular is right up my style alley. A chiffon/nylon scarf, cute little hat (say, a beret) and some more jewelry instantly elevates it (further in) to the adult fashion realm, too.